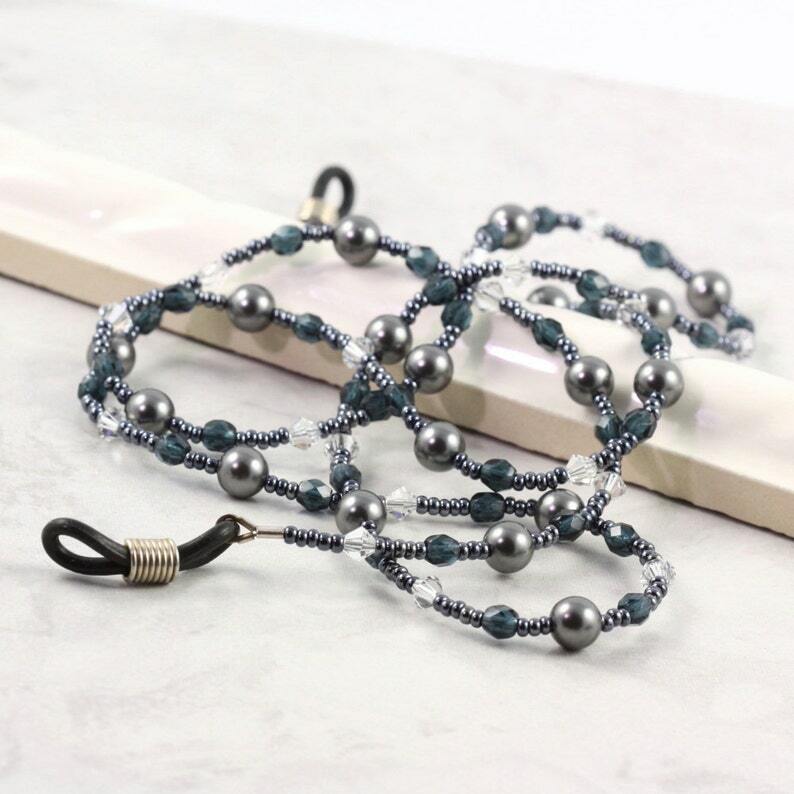 Eyeglass holder made with with beading wire, Montana blue Czech glass, dark grey round pearls, crystal Swarovski bicones and pewter seed beads. Perfect gift for a co-worker, a teacher, or your mom who's always losing her glasses! Great for using with your magnifying glasses when you’re working on your favorite craft project! Length is 28 inches. Contact me if you would like a different length.